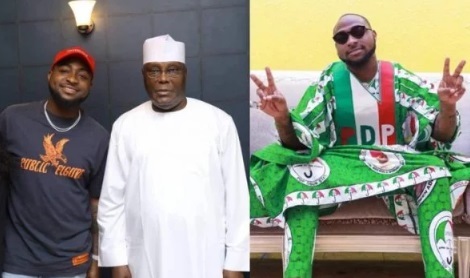 Atiku Calls Davido "King of Nigerian Music"
Atiku Abubakar, the presidential candidate of the People's Democratic Party (PDP) has revealed that David Adeleke, popularly known as Davido is the current reigning king of Nigerian Music industry. Davido however released a viral video on his Instagram where the Presidential candidate declared Davido as the King of Nigerian Music. When asked about his favorite musician, he said Fela was his favorite musician in the past but Davido is his present favorite.